We manufacture Aluminium Barcodes which is the ideal solution for industrial applications requiring high durability. These Bar Code Labels have excellent resistance to Chemicals, Abrasion, Solvents and will withstand exterior exposure in the harsh environments, including extreme Cold, Heat and UV. We are engaged in offering Asset Tagsto the clients. 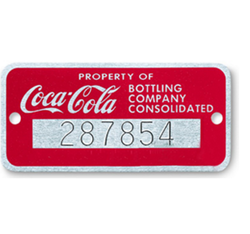 We design and develop this tag using supreme quality materials. 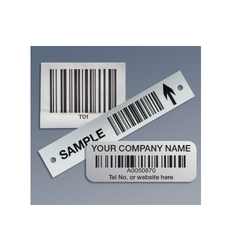 We manufacture Aluminium Barcode Tagsas per customer specifications. We manufacture Aluminium Barcode Labelsas per custom specifications. In industrial environments, Asset Labelsis used to clearly identify assets for maintenance and operational purposes. 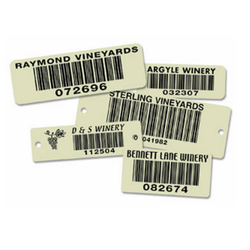 Looking for Barcode Tags & Labels ?